As part of her Social Action Anticorruption Campaign, Social Action anticorruption network partners featured in a sponsored programme to sensitize the citizens on the dangers of corruption and the part it has played it to ensure the people of the Niger Delta remain in perpetual underdevelopment. 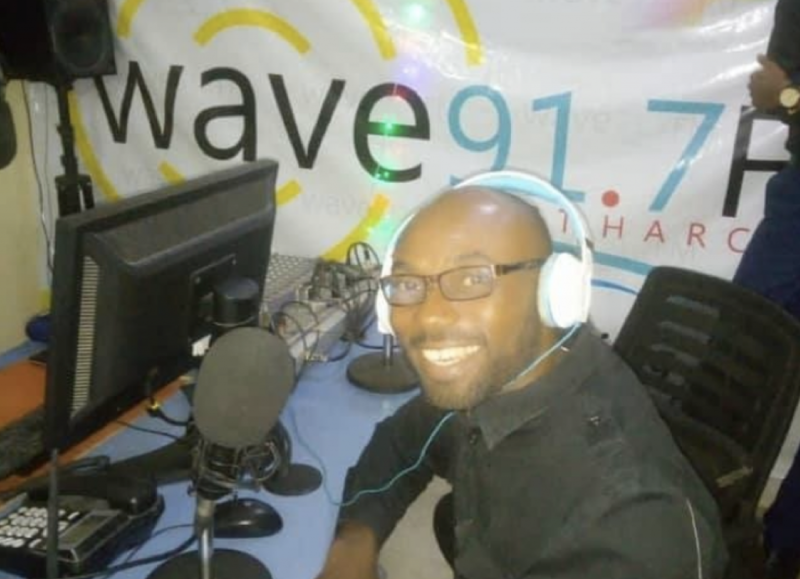 The radio programme was aired on Wave FM 91.7 Port from 10 to 10.30 on Friday 25th January 2019. Issues discussed were the General Elections as a driver for good governance. Citizens were encouraged to begin to interrogate the political actors during the campaigns to know their plans for the citizens on their different areas of interest so they could follow up on their commitments when/if elected. They were charged to monitor the political rallies and note the commitments made by the candidates. The programme also included audience call-in, where questions were asked and contribution made on the topic by listeners. Callers wanted to know how to engage government officials who have made commitments in the past and renege on them. And what assurance there is that commitments made would be kept and if not, what could the citizens do. In response to these questions, the network team explained that government officials continue to take the people for granted because the people have been docile each time it happened. They gave Instances where the citizens came out en masse to demonstrate their opposition for certain unfavourable government policies and the government in power had to be forced to reverse them. They insisted that power belongs to the people and the people must exercise it peacefully but firmly. The indefinite nationwide strike embarked upon by the Nigerian Judiciary workers, which took effect on Monday January 5, 2015 has lingered into the fourth week, with no end in sight to the strike action. 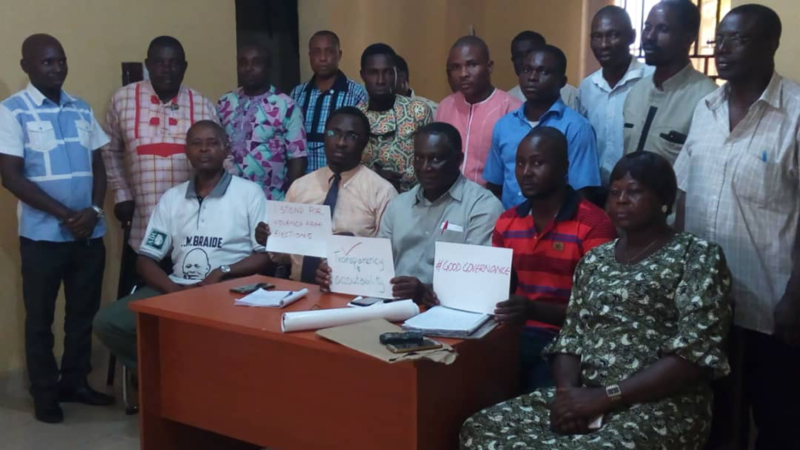 The workers, under the platform of the Judiciary Staff Union of Nigeria (JUSUN), have vowed not to resume work until the Federal High Court judgement granting financial autonomy to the Judiciary is enforced. The judgement which was delivered by Hon. Justice Adeniyi Ademola of the Federal High Court, Abuja, on January 13, 2014, was later followed by several Memoranda of Understanding (MoUs) agreed between the Nigerian government, representatives of JUSUN and other stakeholders, who all pledged to comply with the court ruling, to allow a free and independent justice system in Nigeria. But the reluctance of the federal and state governments, to abide by the agreed terms of the most recent MoU dated November 27, 2014, has led to the commencement of the current strike action by JUSUN. 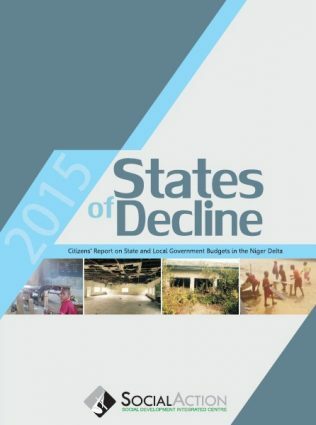 The Social Development Integrated Centre (Social Action), as a civil society organisation, condemns in very strong terms, the failure of government at the various levels to allow the Judicial arm of government have financial independence as expressly provided in Section 81(3) of the 1999 Constitution of the Federal Republic of Nigeria (as amended), which states that: “Any amount standing to the credit of the Judiciary in the Consolidated Revenue Fund of the Federation shall be paid directly to the National Judicial Council for disbursement to the Heads of the Courts established for the federation and the state…”. The Judiciary, being the last hope of the common man, must not be made financially dependent on the Executive arm of government, but rather be allowed to exist as a free, vibrant and efficient arm of its own. Hence, the strike action of the Judiciary workers is for a good cause which would fortify democracy in Nigeria. We lament the loss of livelihoods occasioned by the ongoing strike action. A majority of lawyers earn their living through litigations, and these legal practitioners have been adversely affected by the lingering strike and the closure of the courts. This loss of livelihood has brought hardship upon them and their dependants. Also affected by the strike action, are arrested persons kept in prison custody who seek bail, as well as those who have successfully been granted bail and are ready to meet their bail conditions but cannot, owing to the closure of the courts. These people now languish in prison custody indefinitely, pending the termination of the strike action, while the challenge of prison congestion grows worse as a result. Sadly enough, poor community folks and vulnerable members of the society who crave for justice in the face of oppression and violation of their rights, have no court of law to seek redress for the wrongs they have suffered. Against the background of the closure of the courts, anarchy seems to be on the rise in the country, and the aggrieved, downtrodden masses silently bear the brunt of it. With the forthcoming elections scheduled to hold in February, 2015, it is expedient for the courts to be operational, in order for Tribunals to be set up for election petition litigations which may arise, following the conduct of the elections. We therefore call on the federal and state governments of Nigeria, to uphold the principles of democracy and put the interests of the Nigerian masses above their personal interests by complying with the Federal High Court ruling and the MoU entered into with JUSUN, in order to ensure an autonomous Judiciary. Indeed, the political profitability of denying the Judiciary its financial autonomy, has a prohibitive cost on the quality of the Nigerian justice system. 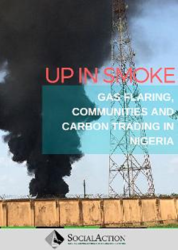 A new report released today highlights how forest dependent communities in Cross River State, south-east Nigeria, are losing rights and livelihoods, as their forests are being locked down by the government, which seeks cash through a United Nations backed ‘carbon trading’ scheme, Reducing Emissions from Deforestation and Forest Degradation (REDD+). The report, ‘_Seeing REDD: Communities, Forests and Carbon trading in Nigeria_‘, by Nigerian organisation, Social Action, was presented today in Lima, Peru at an event at the People’s Summit on Climate Change, which coincides with the 20th Conference of Parties (COP20) of the United Nations Framework Convention on Climate Change (UNFCCC), in the Peruvian capital city. for generations, are now being victimised by government agents following a ban imposed on economic and cultural activities in the delineated forests. Thus, REDD+ has restricted access to forests where indigenous communities gather food, medicine and energy. Local nutrition and livelihoods are seriously threatened and the attendant scarcity of food products caused by government’s actions have led to increase in the prices of basic food products. Ironically, higher wood prices, occasioned by REDD+, is encouraging illegal logging in the forests. The report shows how communities are grappling with being implicated in the false solutions to the problem of climate change. While community members suffer the negative effects of climate change which they did not create, they are, through schemes like REDD, liable to being criminalised in the process of enforcing carbon market policies. With REDD+, greenhouse gas polluting countries and companies in the developed world could pay for schemes that promise to reduce deforestation in the developing countries. Thus, developing countries, especially African countries having vast expanse of tropical forests, become ‘sinks’ for greenhouse gases, most of which are emitted from developed countries. With the ongoing UN climate conference seeking agreements for global action including the implementation of REDD+ mechanism, citizens groups at the People’s Summit are demanding people-oriented measures that will actually curtail climate change worldwide. Other speakers at the event included Ruth Nyambura of the African Biodiversity Network, Kenya, Tom Goldtooth of Indigenous Environmental Network, USA and Cassandra Smithies, a researcher/campaigner on climate justice. As the global environmental justice movement commemorates the state execution of writer and activist, Ken Saro Wiwa and 8 other Ogoni environmental and social justice campaigners who were killed on November 10, 1995, the Social Development Integrated Centre (Social Action) has today released a new report,STILL POLLUTED: Monitoring Government and Shell’s Response to UNEP’s Environmental Assessment of Ogoniland. The report is a product of two years monitoring of the effort of the Nigerian government and oil companies to address the remediation of the environmentally-devastated Ogoniland through the implementation of the concrete recommendations in the report by the United Nations Environmental Programme (UNEP). “Everything on the ground in Ogoniland points to complete irresponsibility on the part of the Nigerian government”, according to Dr. Isaac Osuoka, Executive Director of Social Action. “The government set up the Hydrocarbon Pollution Restoration Project (HYPREP) under the office of the Minister of Petroleum Resources, a complicit party in the pollution of Ogoniland. The agency was not backed by legislation nor provided with the required funding. Government must get serious and commence real actions to clean up Ogoniland, which should serve as a template for replication in the clean-up of other hydrocarbon-polluted communities in Nigeria’s Niger Delta”, he added. According to Social Action’s report, neither the agency nor the government have done anything worthwhile to restore the Ogoni environment, three years after the UNEP report was released. Even emergency measures such as the provision of alternative sources of drinking water have not been taken seriously by the government. Ogoni community members continue to drink from badly contaminated water wells and bathe in badly polluted streams. However, Shell’s oil pipelines through which crude oil is conveyed from the region to the Port for export to other countries, still remain in Ogoniland till date. Oil spills from these pipelines occur regularly and the environment has suffered decades of environmental degradation. 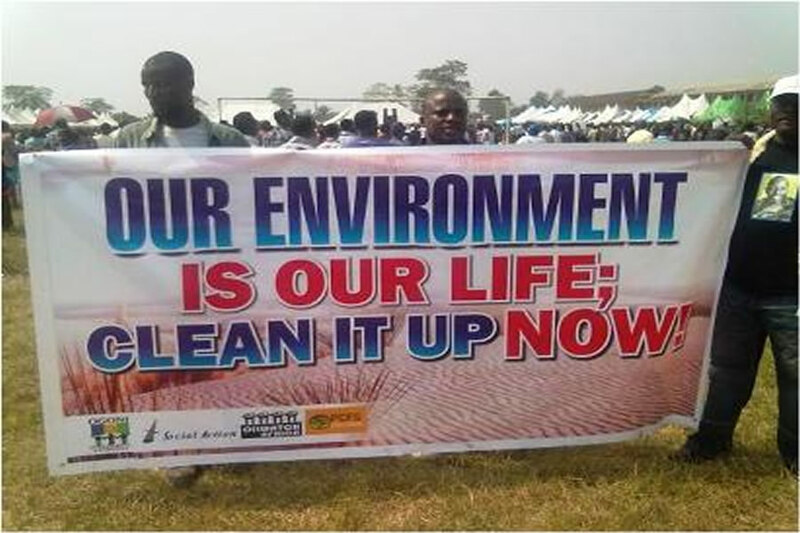 OGONI CELEBRATES 20TH ANNIVERSARY OF UNITED NATIONS WORLD INDIGENOUS PEOPLE’S DAY (OGONI DAY); CALLS FOR IMMEDIATE CLEAN UP OF OGONI ENVIRONMENT AND A MORATORIUM ON LAND SEIZURE!